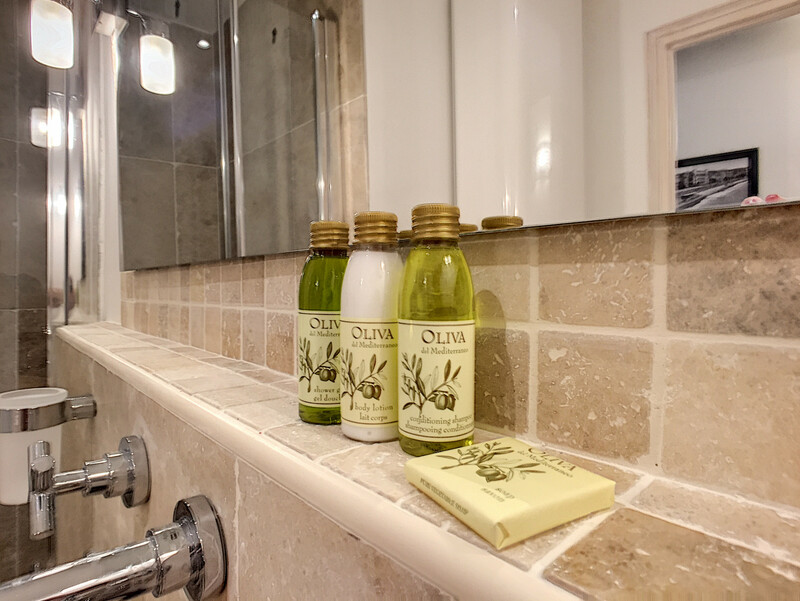 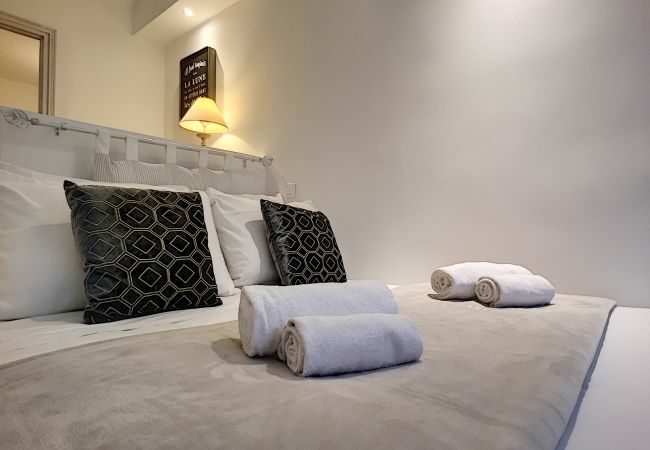 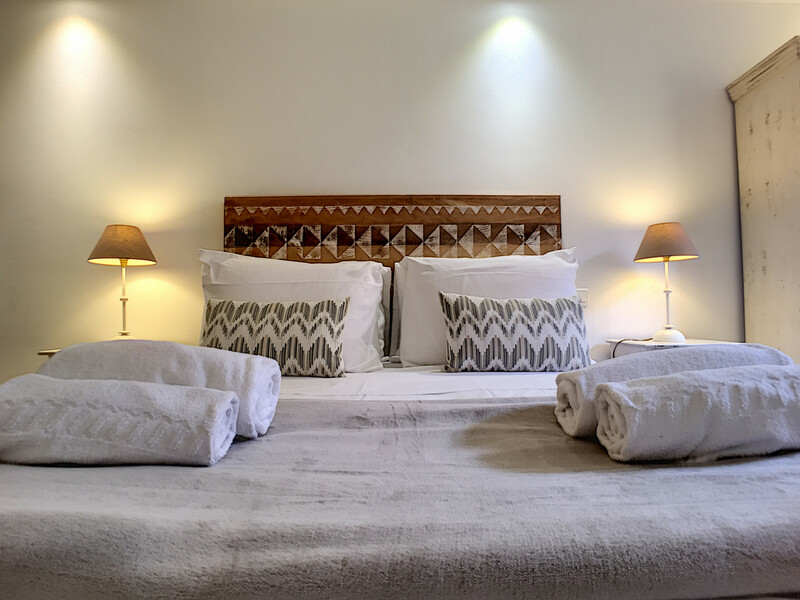 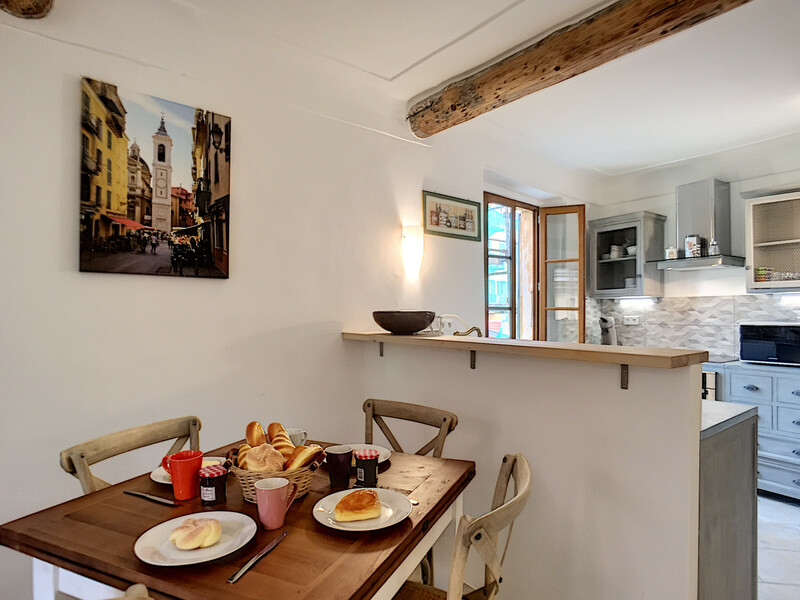 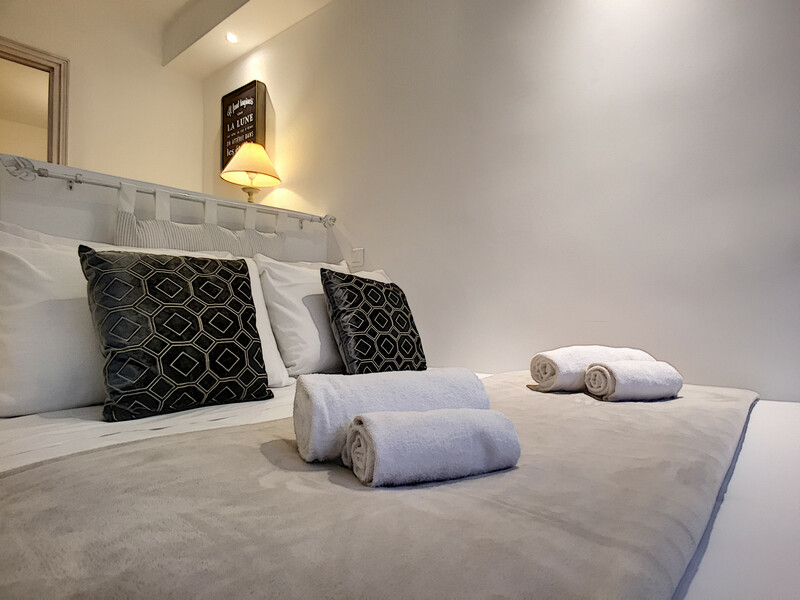 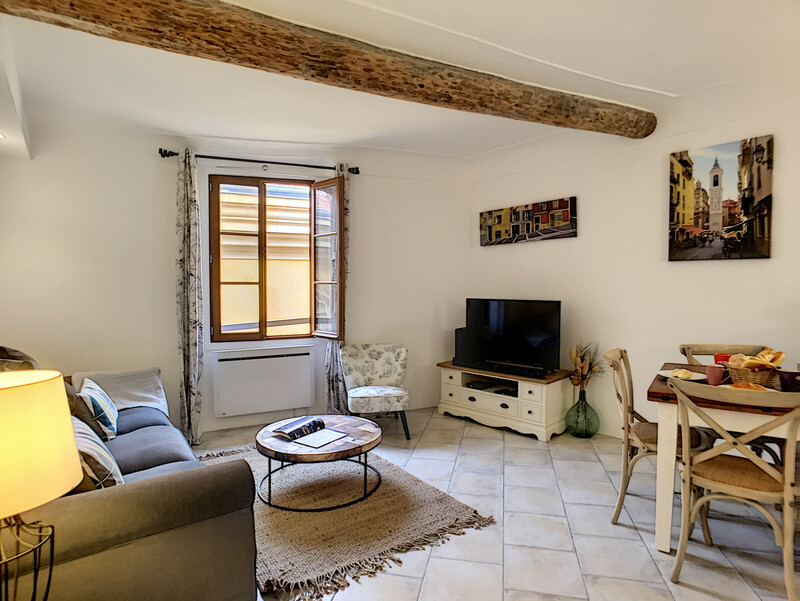 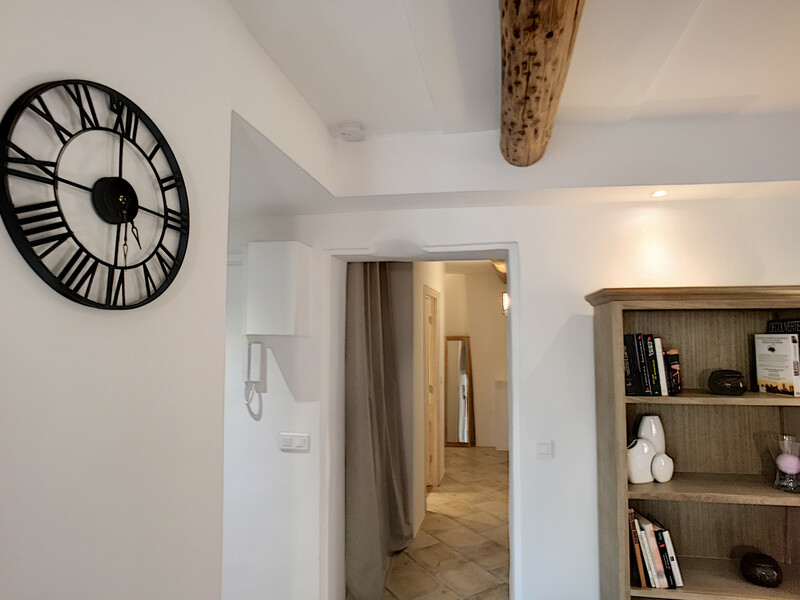 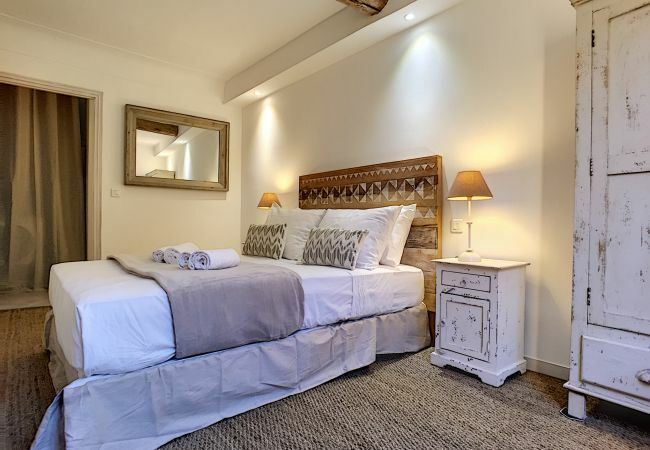 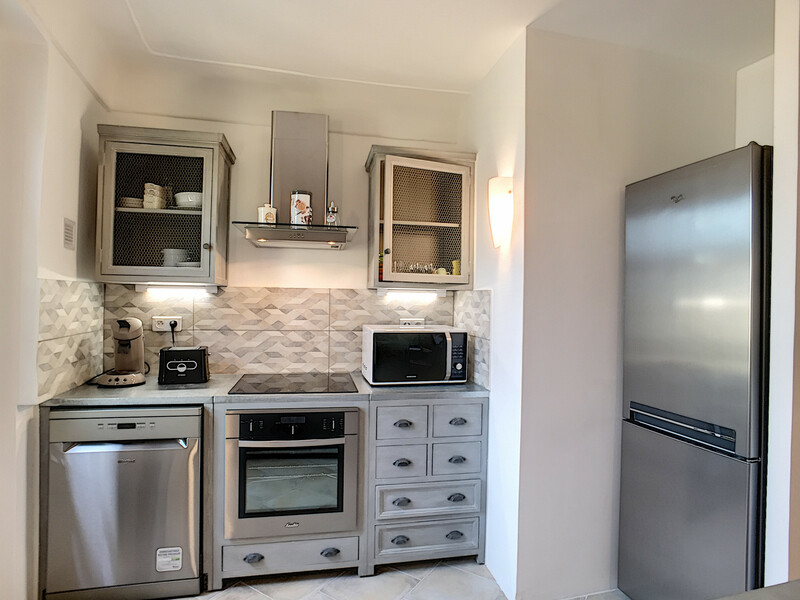 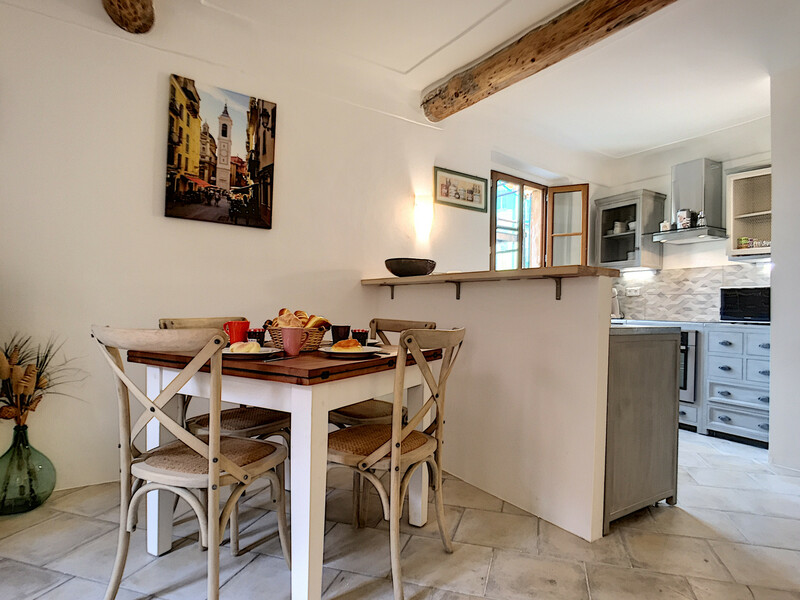 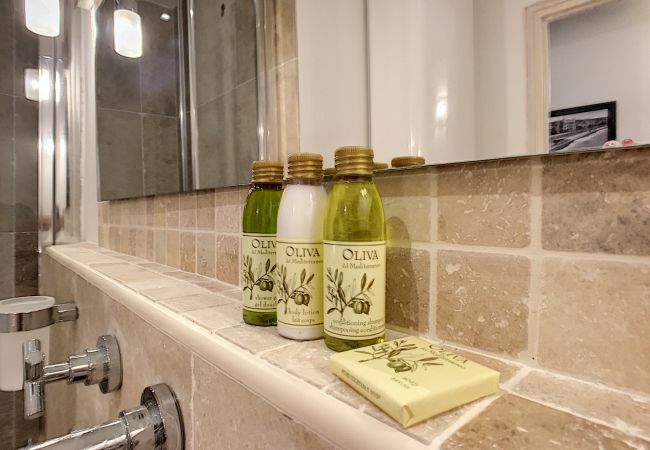 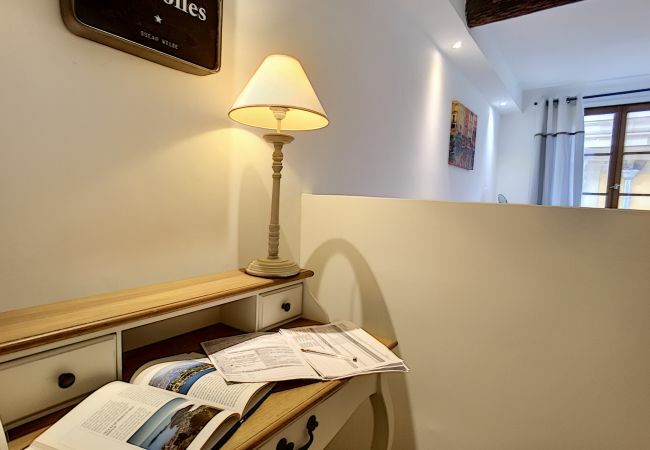 COCOON COTTAGE is a charming, cozy and completely renovated two bedroom apartment. 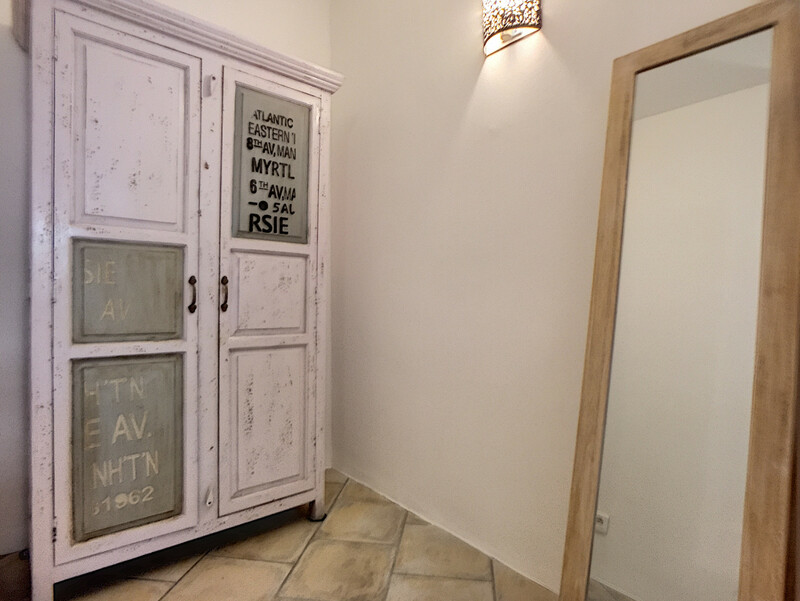 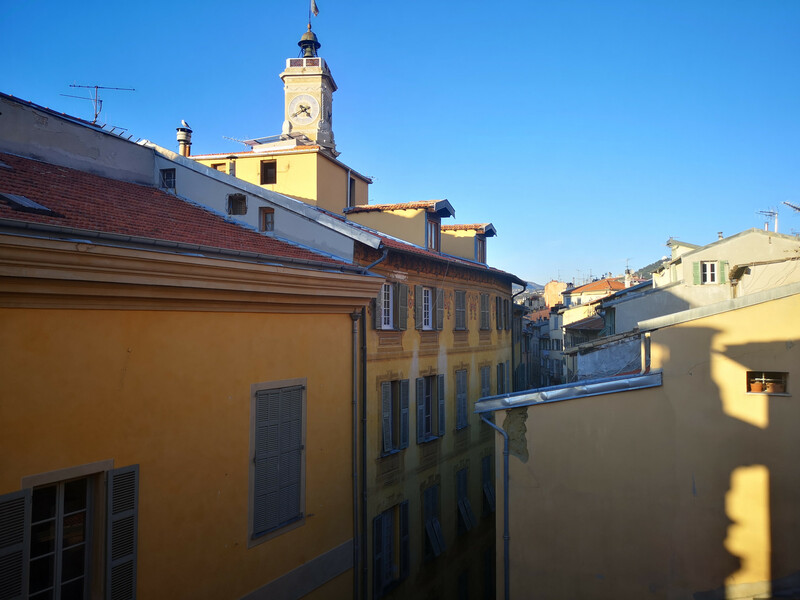 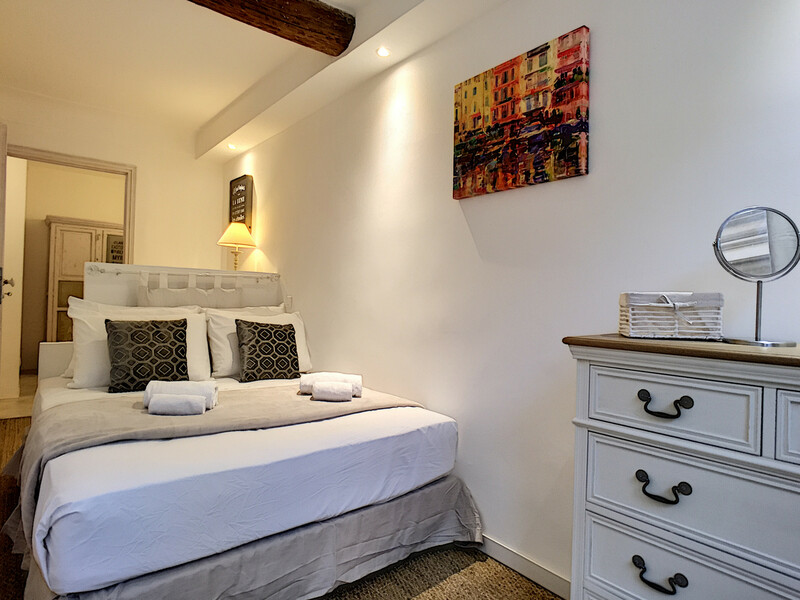 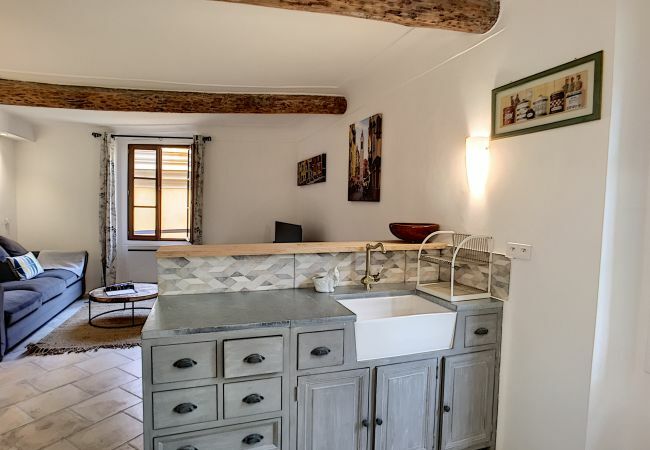 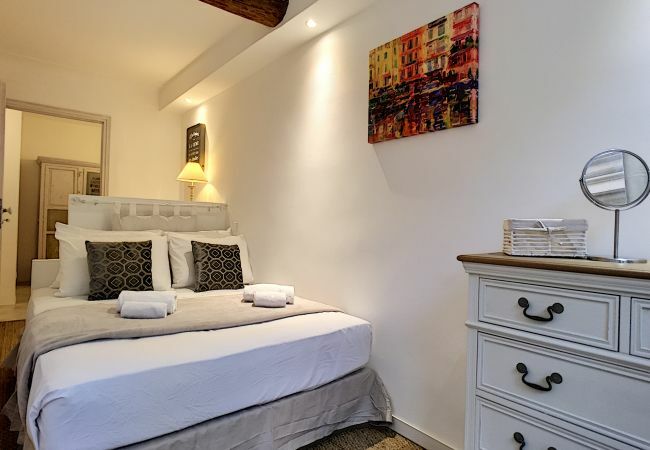 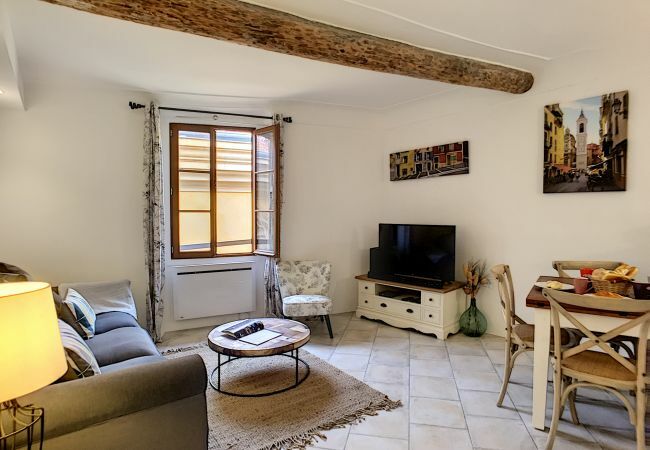 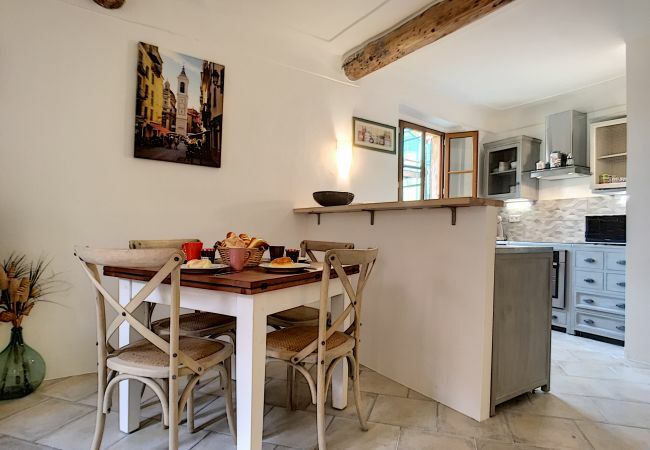 It has an ideal location in the Old Town, two steps away from la Place Saint Fraçois. It is a 2-minute walk from a tram stop to get around Nice easily. 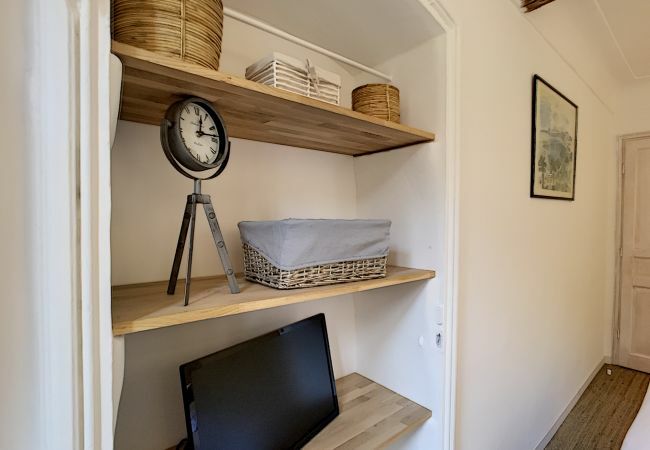 The apartment has a chic cottage decoration. 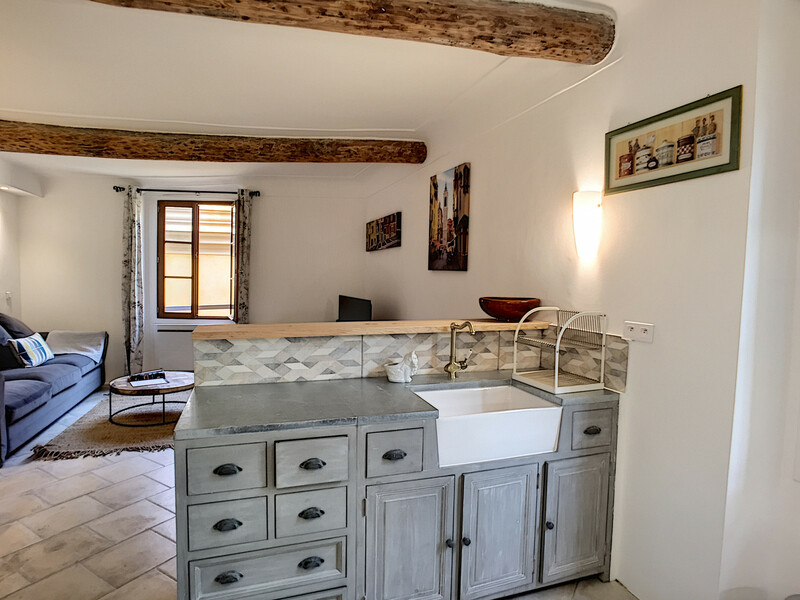 Rustic furniture, natural materials and soft colors evoke traditional French farms. 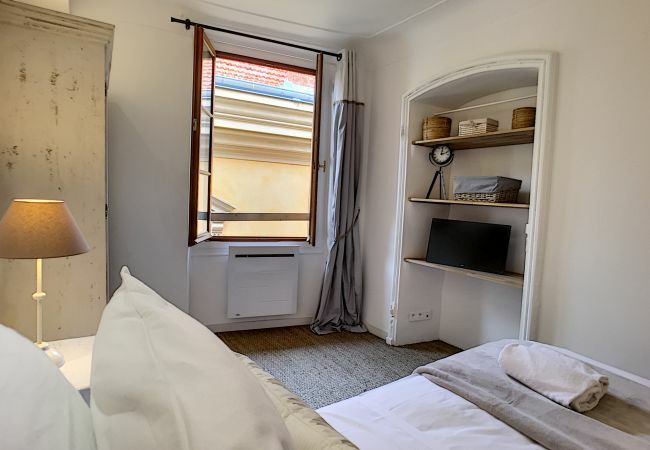 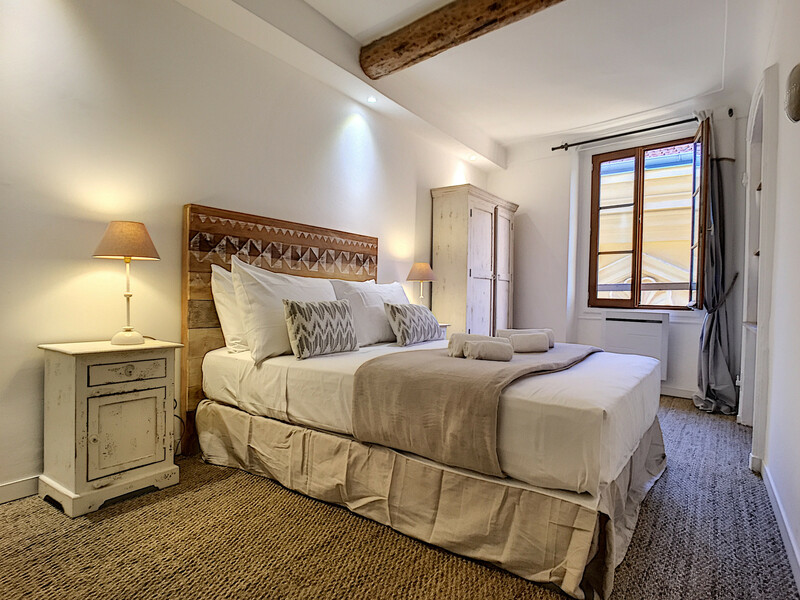 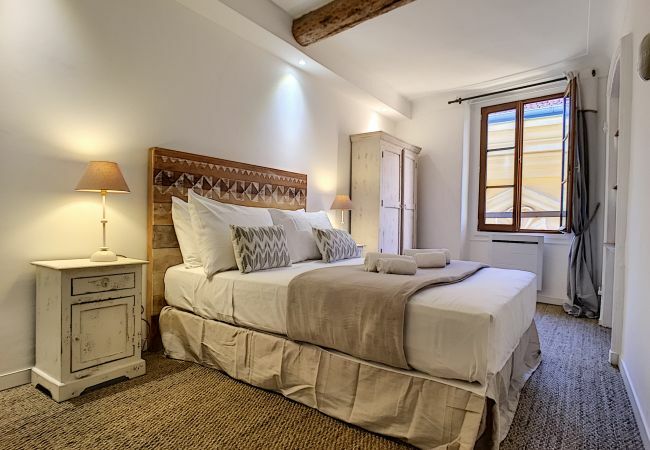 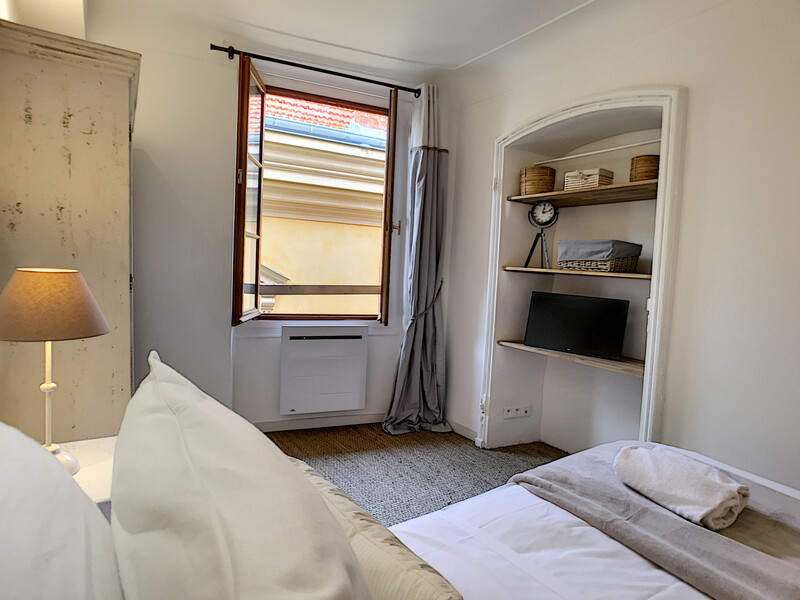 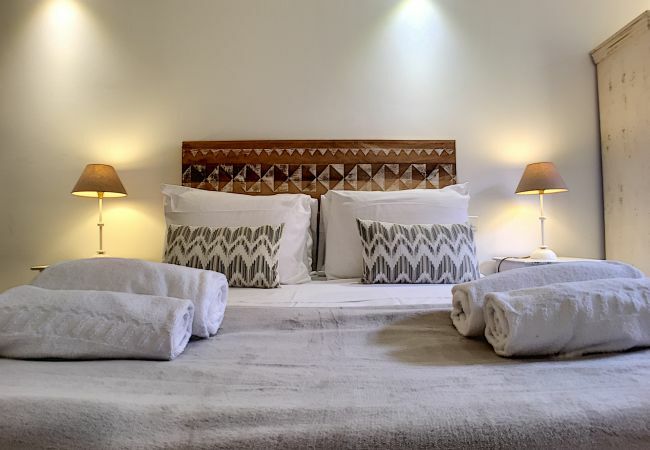 You will be seduced by the warm atmosphere of the apartment thanks to the rush carpet floor in the bedrooms, the exposed wooden beams and the jute carpets. 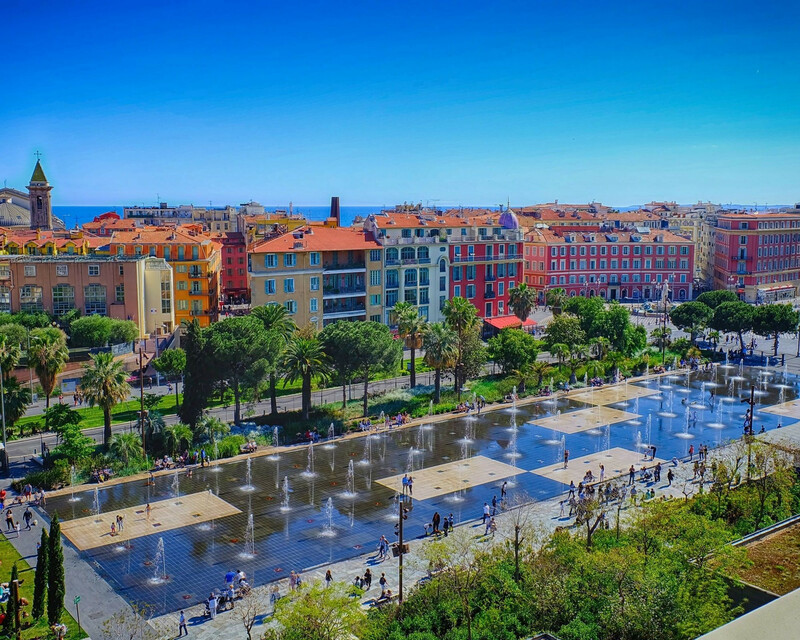 The view of the historic square will delight you. 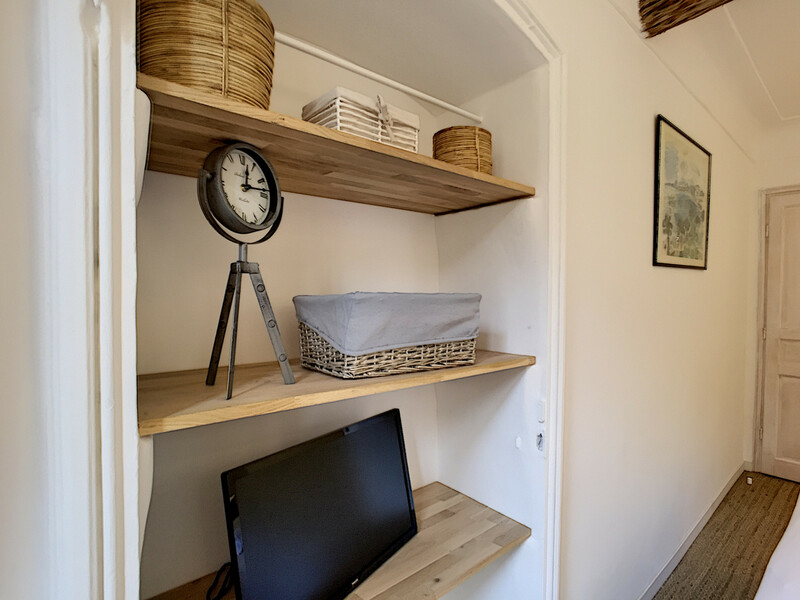 The apartment is on the 4th floor.It has a free Wi-Fi connection. 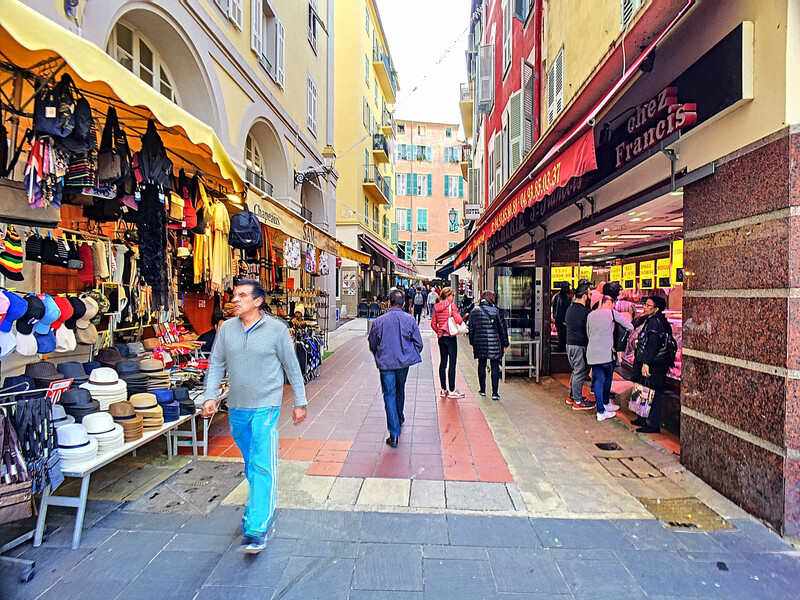 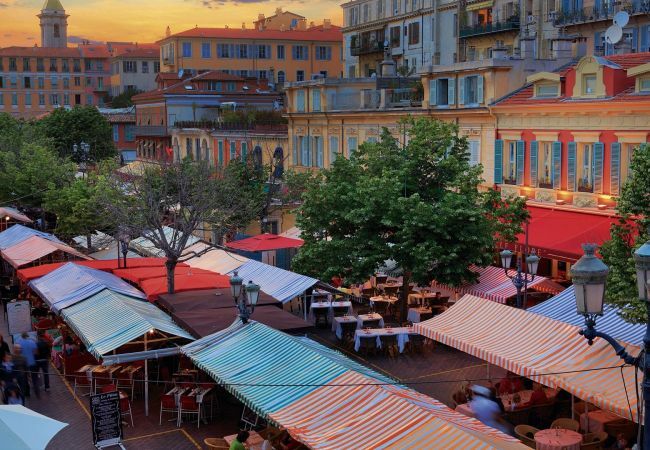 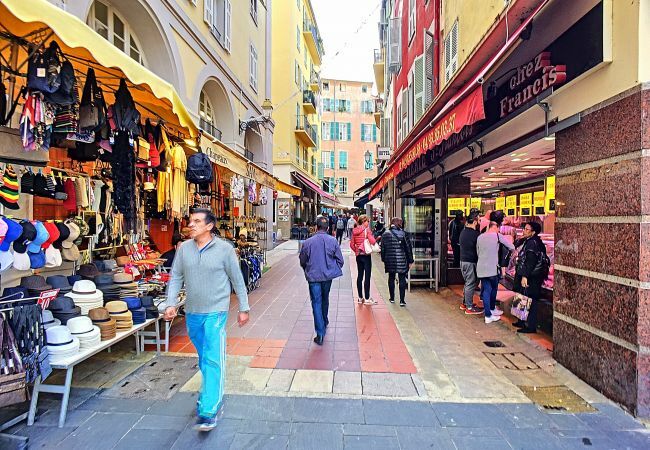 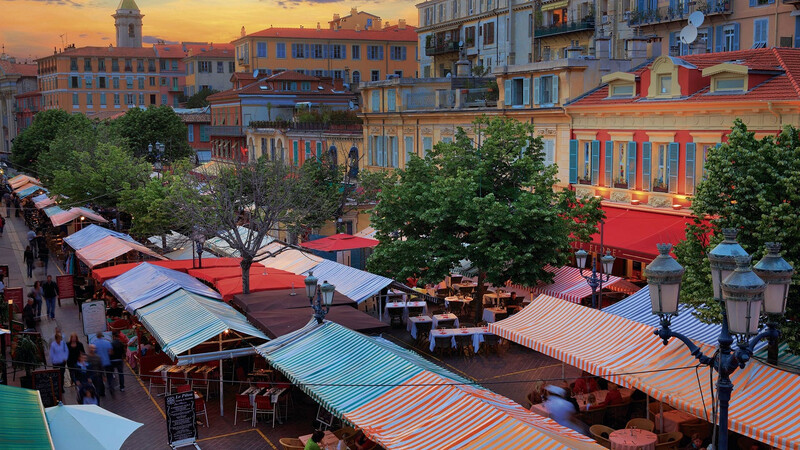 - The pedestrian zone and its restaurants. 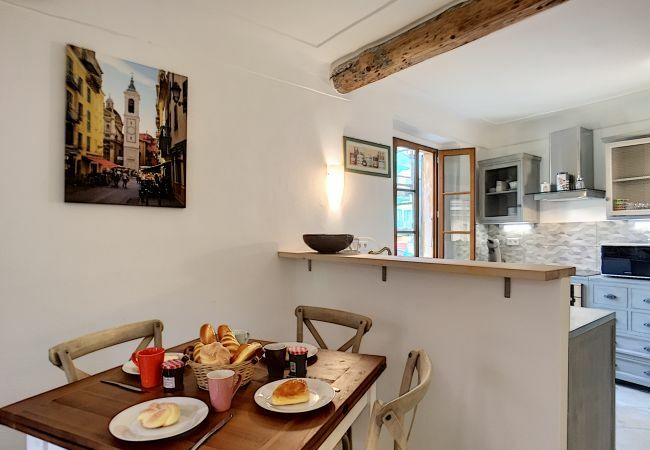 You will also be near a tram stop that will allow you to visit the entire city easily. 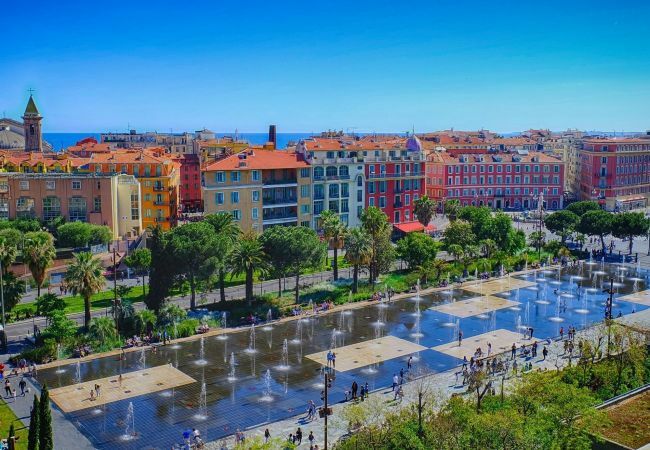 The train station is 30 minutes walk. 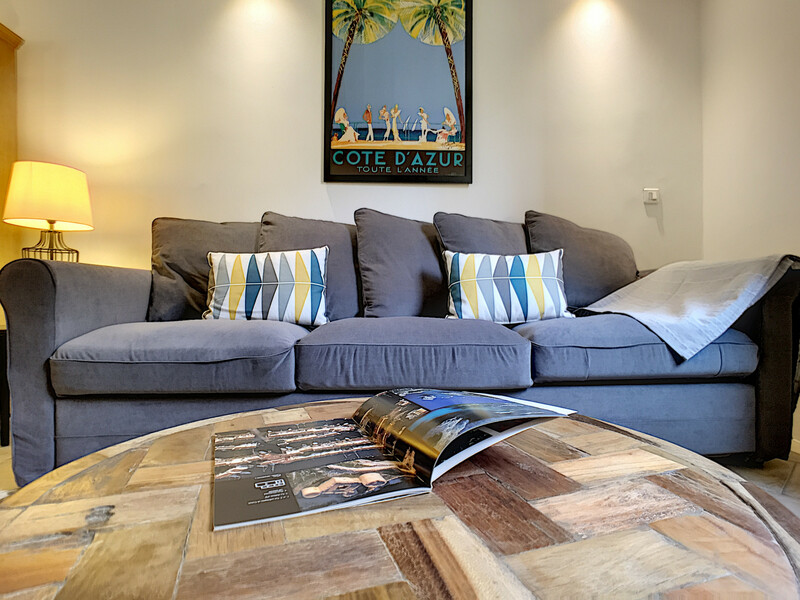 Equipped with a very soft sofa, an armchair, an extensible dining table and its four chairs, a LG sound bar with Bluetooth and a flat screen television. 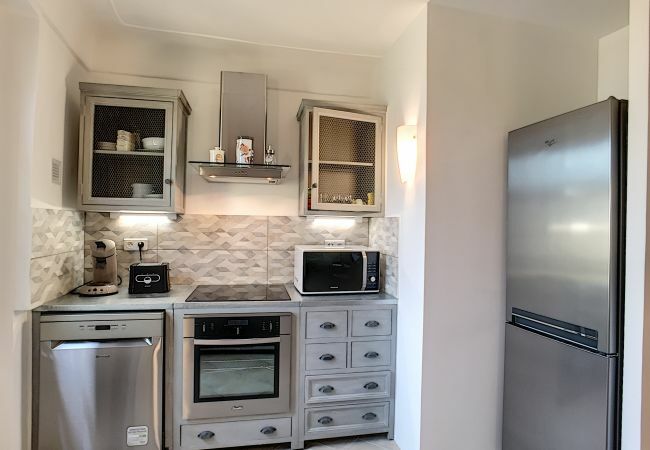 The kitchen is open-plan. 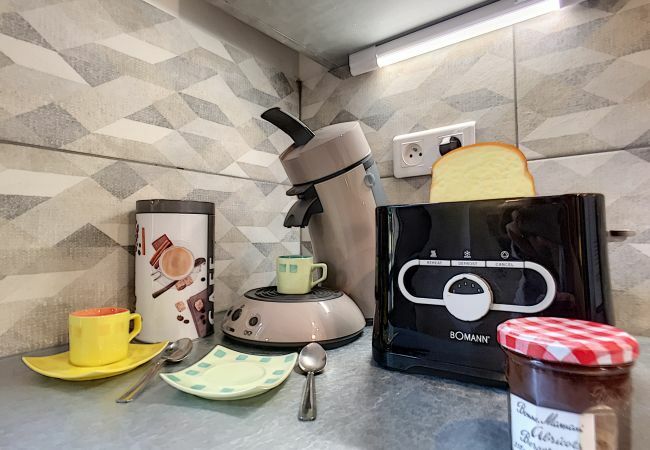 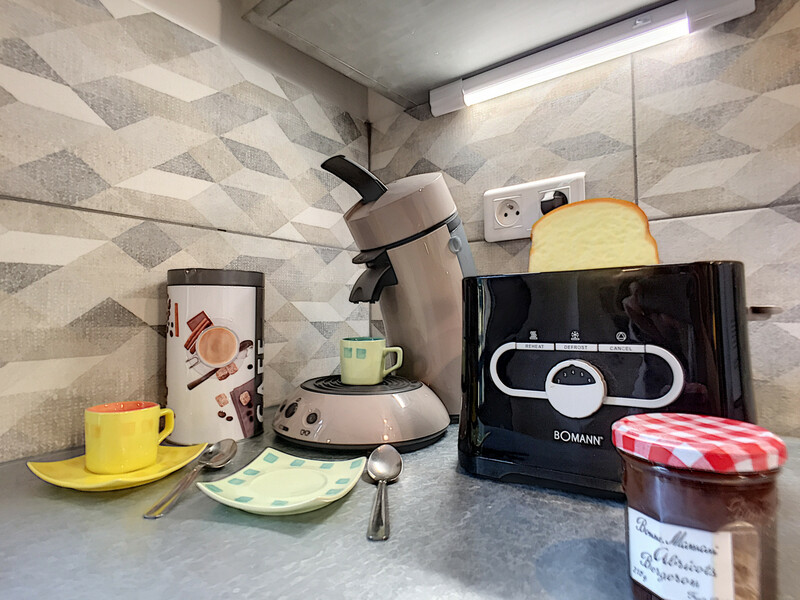 It is equipped with an induction hob, fridge, freezer, microwave, dishwasher, kettle, toaster and a Senseo coffee machine. 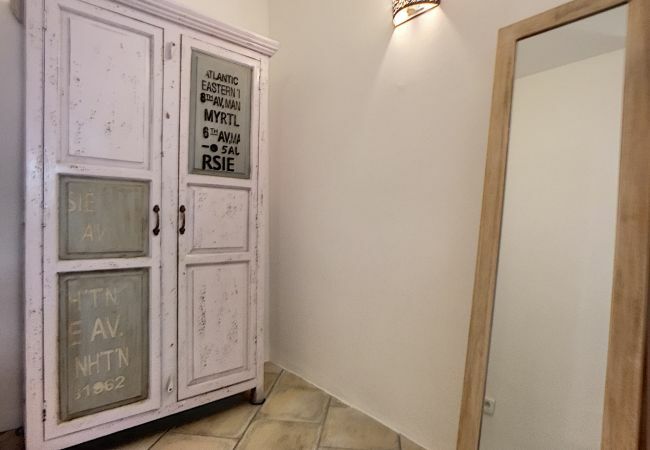 It has a washer-dryer and a wardrobe. 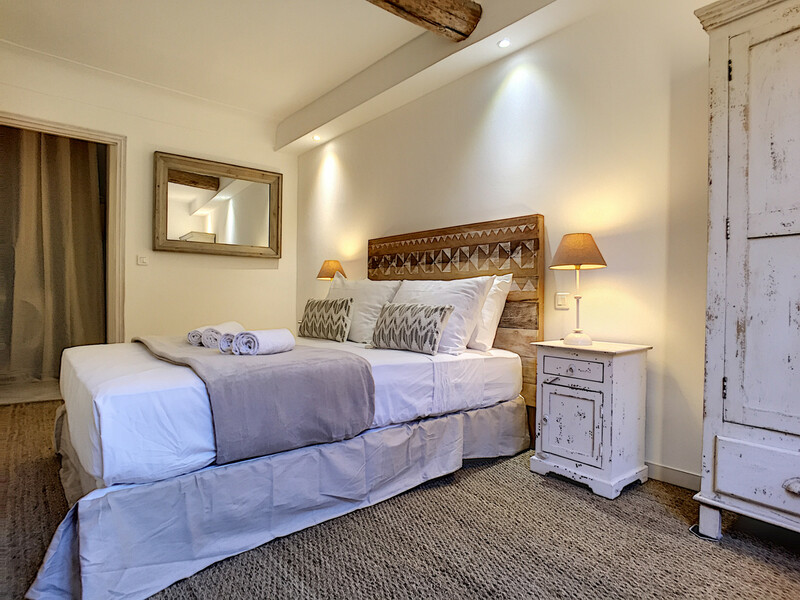 It is equipped with a double bed with a high quality thick mattress, a wardrobe and a flat-screen TV. 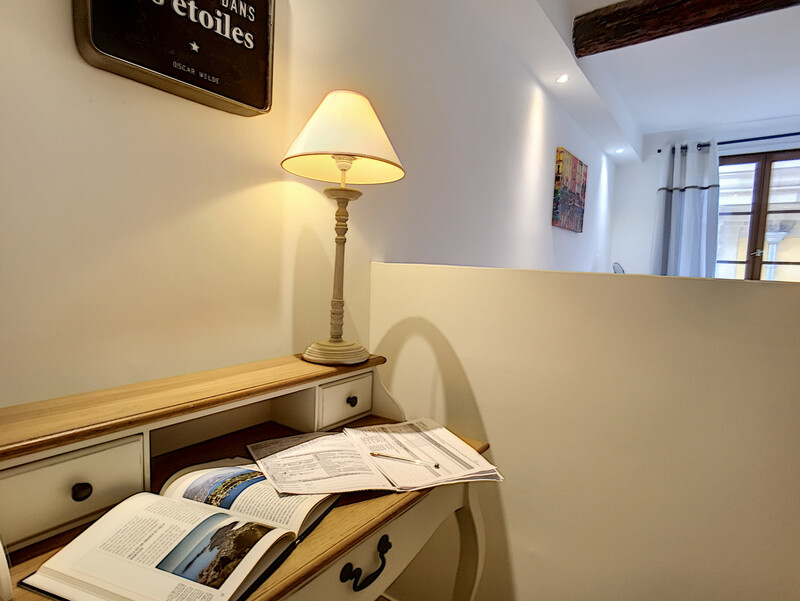 It is equipped with a double bed with a high quality thick mattress, a dresser and a secretary desk. 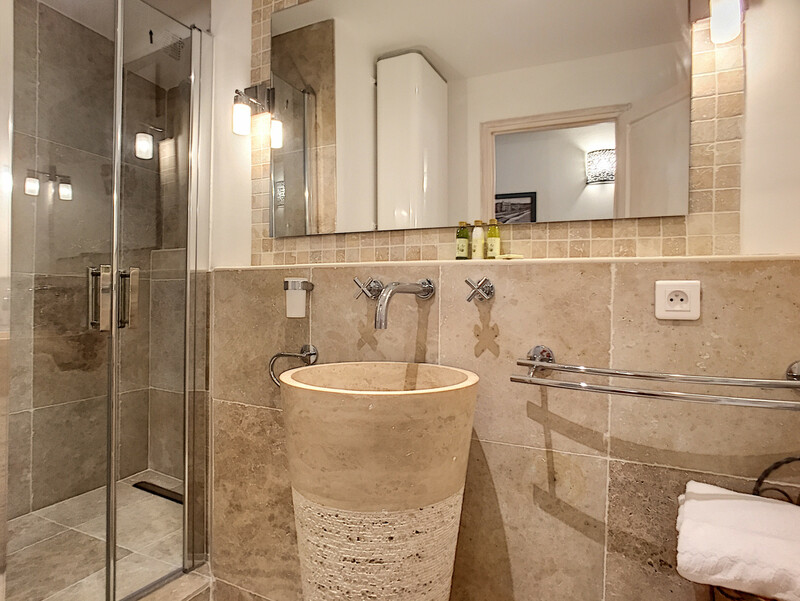 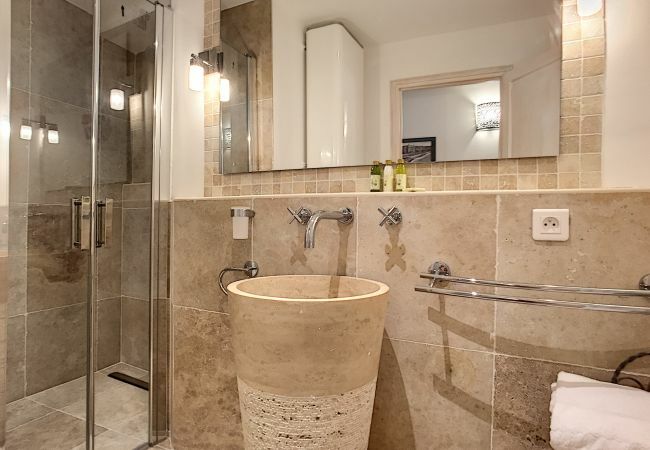 Equipped with a walk-in shower, a sink, a towel dryer and a hairdryer.